One morning this past August, about 5am (it was dawn), I took my 5 pound dog out front to pee. I was just about to set him down went I looked to the street and saw a coyote trotting down the middle of the road. I live on 16th Ave South between Spokane and Hinds. 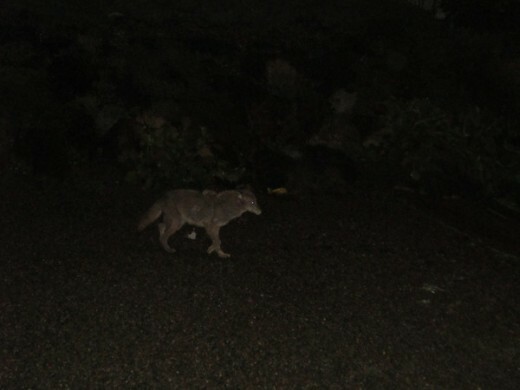 I once saw two coyotes trotting down the middle of 17th Ave S. (near S. Walker) as if they owned the whole darned road. Looks way too fat to be a Coyote. Probaby was just somebodies scared dog on a walkabout.